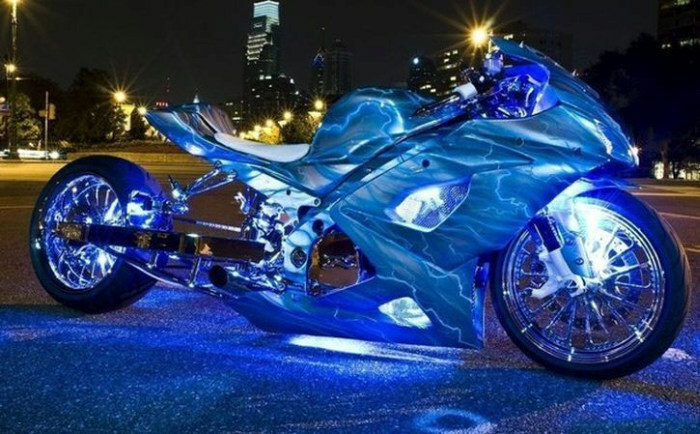 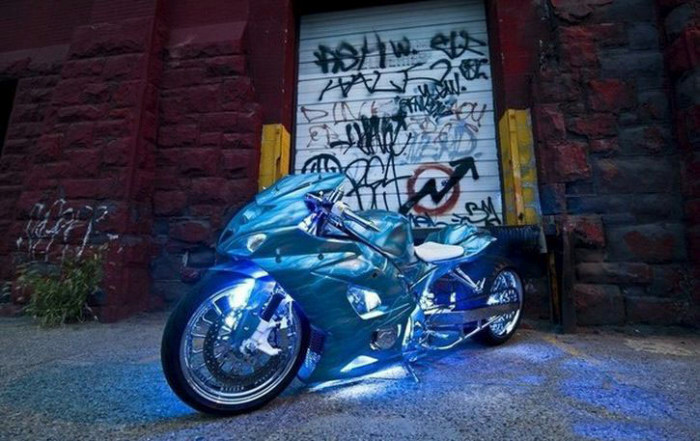 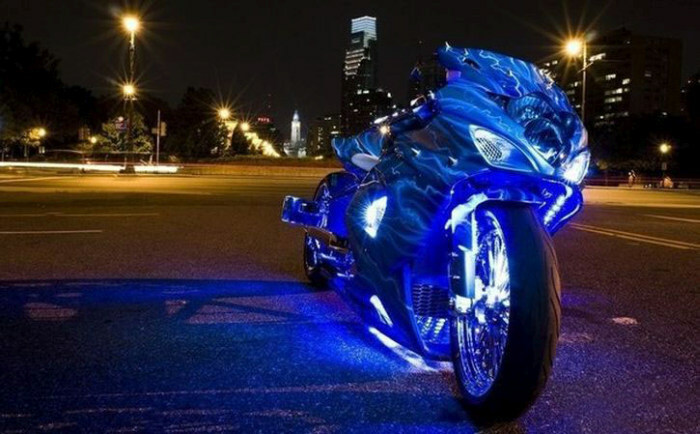 This motorcycle has a one of a kind paint job, it's a pleasure to look at and the lights are equipped to illuminate and city street. 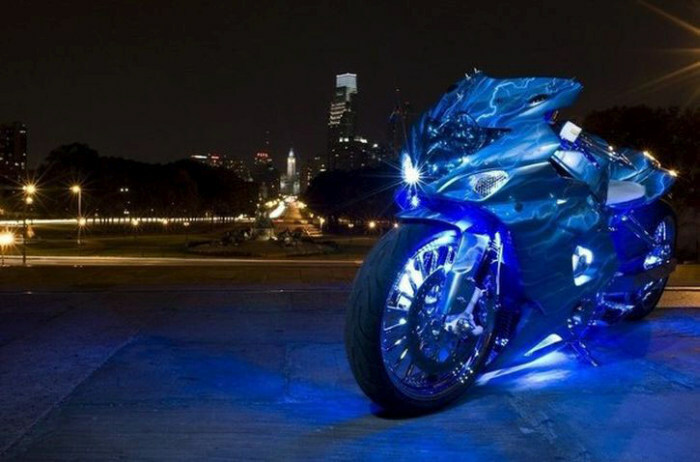 The bike is definitely fun to ride but it's even more fun to look at. 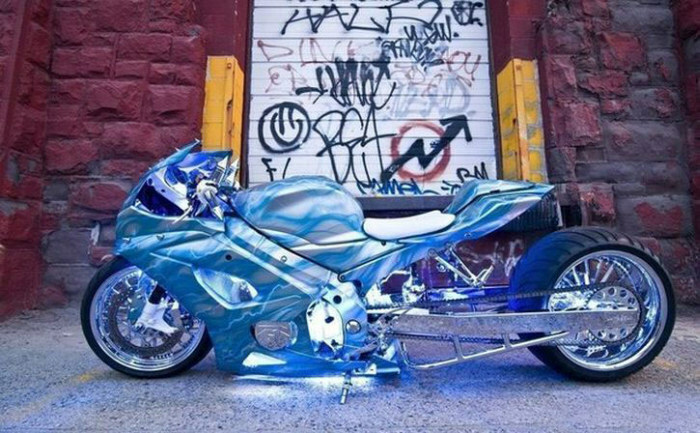 Surely it is the most ridiculous.